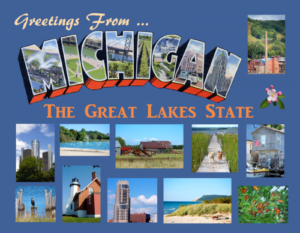 Michigan has an increased chance to become the fifth US state to authorize online poker following a Michigan House committee’s approval of a three-bill regulatory package sponsored in large part by MI State Rep. Brandt Iden. The three bills, headlined by Rep. Iden’s HB 4926, cleared a House Committee on Regulatory Reform vote this week, and have been returned to the full House floor in the state for further consideration. That should involve a mandated reading of the current form of the bills, and likely another committee assignment. The bills’ committee clearance came too late in the calendar year for the bills to be considered before 2018. The House bills — HB 4926, HB 4927, and HB 42928 — collectively parallel a similar effort that had previously cleared a Michigan Senate committee before stalling. The bills’ backers, including Iden, hope that the new House initiatives will reenergize the issue and force further consideration. What began as an online-poker bill is now a multi-faceted, online-gambling authorization package with poker at its core; poker is a required part of the deal for any applicant for licensing, at this early stage of legislative debate. However, the bill ha become an omnibus regulatory package, now also including online casino games and DFS (daily fantasy sports). HB 4926 is the primary regulatory measure that includes most basic elements of the proposed expansion. All 25 of Michigan’s casinos would be eligible to apply for licensing approval, with the initial licensing fee a nominal $200,000 — good for the first year, with $100,000 license renewals annually thereafter. Revenue would be taxed at a flat rate of 15% of gross gaming revenue (GGR). Software platform providers and third-party services would also need to be licensed. The sites would be available to all Michigan residents and travelers physically within the state who are age 21 and older, similar to consumer requirements in the other US states approving online gambling to date. The interesting thing about the Michigan equation is that the state itself is a stronghold of American tribal gaming interests. Federally-recognized tribal nations (actually just six prominent tribes among more than twice that many in Michigan) operate 22 of the 25 land-base casinos in Michigan. The three non-tribal casinos in Michigan are all based in Detroit, and they are owned and operated by commercial (non-tribal) interests after having been authorized by the state a few years back. Anywhere outside the Detroit metro area, however, the tribal casinos are the big players, and in the long run they’ll decide the fate of the online-authorizing bills. It brings to mind the ongoing stalemate in California, where a handful of politically powerful tribes have successfully blocked an online gambling market opening for nearly a decade. A similar scenario could unfold in Michigan, though it’s somewhat less likely. As for how, as of this moment in time it’s a matter of appeasement by the state… and that could change, too. In exchange for being self-regulated, as opposed to being under the watchdog eye of Michigan’s gaming regulators, the tribal nations would be licensed through whatever mechanism they chose, even the federal path via the US’s Bureau of Indian Affairs. In exchange, the tribes choosing to offer online gambling would have to acknowledge that revenue is due to the state for both online and live-casino offerings. The attempt there appears to be to forestall future claims that other Michigan-based offerings might infringe on what most tribal nations claim are exclusive rights. There’s also a consumer-protection issue that’s not addressed at all in Iden’s bill: Even though the hub of any tribal nation’s online offerings would be based on reservation-located servers, many of the customers of such sites would be off-reservation. As we’ve noted in other features, whether claims of tribal sovereignty regarding gaming disputes can be stretched into the private homes of consumers is far from a sure thing. Right now, however, the battle in Michigan is more about getting the vehicle rolling. Some time in 2018, both the House package championed by Rep. Iden and the rival Senate bill will receive another look. At that time the stakeholders will weigh in and a more complete version of what form Michigan’s regulated online-gambling market will take will appear.